A lot of authors hate writing “bios.” We can crank out a 100,000 word novel no problem, but a 100 word bio for the back cover? Terrifying. I deal every day with questions about how to stay motivated, how to stay on track, how to be excited about what I’m doing, how to stay grounded and balanced. Do you face these same issues? When to Trunk a Story or Novel? Panlexicon vs. Visual Thesaurus – Who Will Win? Panlexicon vs. Visual Thesaurus: No, it’s not an epic city-smashing battle of giant robots versus dinosaurs. It’s a contest between online thesauri. When you need that perfect word, where should you turn? Recognizing that crowdfunding has rapidly emerged as a significant means of income for authors, SFWA now maintains a curated page and official group for project creators on Kickstarter. Come the beginning of my pro career, in the early Eighties, women were discouraged from writing science fiction. (Hard, muscular SF was for boys.) Fantasy was deemed more appropriate, being so much softer and “easier,” or so one was told, and frankly it sold better. And here I had this monster of a thing that could best be called science fantasy—mages with space ships. And empire, of course. Must have empire. Odyssey’s online classes are unique among writing programs. Sessions are held live through Web conferencing software, so students can have an active learning process, asking questions and participating in discussions. Your post strikes a nerve. It gets tweeted, and retweeted, and blogged about, and linked to. Comments start pouring in, both for and against your position. Your inbox is overflowing. You put other projects on hold. To be able to practice our art in a space and time when we are free from thinking of anything else but that practice is a vital and precious good. 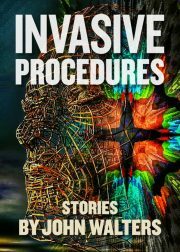 Julie C. Day has published over 30 stories in magazines such as Interzone, Podcastle & Black Static. Her collection UNCOMMON MIRACLES is forthcoming from PS Publishing this October. 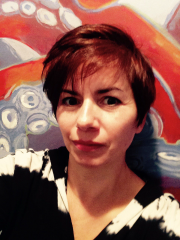 Julie’s fiction reflects her relish for the surreal and esoteric.